I thought it was about time I explained how to start a WordPress blog with WP Engine as your host. Wealthy Gorilla has come a long way since we launched in 2014; and is proudly making six figures a year, 4 years later. For any beginner to blogging, or WordPress, I always recommend setting up a hosting plan with WP-Engine. After all, WordPress is what they specialize in, so you know you’re in safe hands. 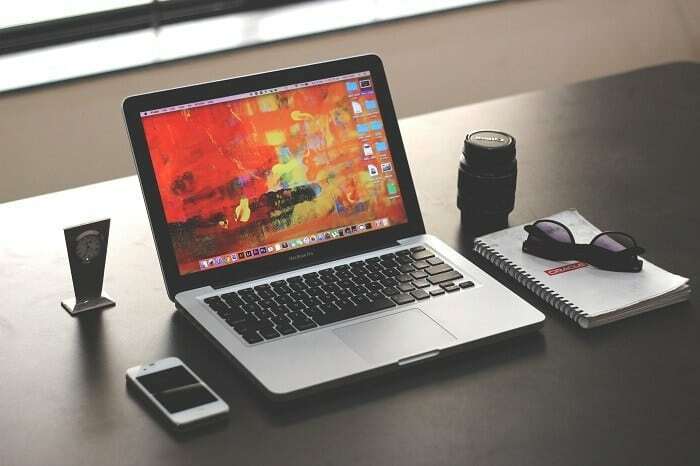 Within this article, I’ll teach you how to start a WordPress blog with WP Engine, and help you to set up your foundation for future online success. Bonus: Click here to get 20% off your WP-Engine plan today! There are 10 main elements to installing, configuring and building your own WordPress blog, and steps 1-5 will take you less than 30 minutes. After that comes writing content, driving traffic, and building your following. The first step in creating a successful blog is to pick a great niche. A niche is the particular topic you’re going to be focused on. If you pick one that’s too specific and that only a very small percentage would be interested in, then right from the off your potential fan base is going to be minimal. On the other hand, if you pick a niche that’s incredibly common for people to base their blogs on, then standing out among the crowd isn’t going to be a walk in the park. The best niches to create blogs in are those that allow you to start off in a fairly specific and popular category, but then expand into similar and closely related areas as the blog grows. Trying to cover to many areas in the beginning will leave your blog looking thin in every category and won’t keep your readers coming back to the categories they’re most interested in. Picking a niche is the first essential step to creating a blog as it defines how you’ll be carrying out many of the other steps on the list. The domain name you purchase plays an important part in your brand image, not to mention the visibility your blog will have among the millions of others on the web. Since the domain name is the URL that people will be searching in order to visit your website, it’s important to pick one that’s clear, short and to the point. Too many characters will cause people to easily forget it, and if the words contained within it are difficult to spell, then the chance of people typing it in wrong will increase, therefore causing them issues when trying to check out your site. The best place to look at buying a domain name is GoDaddy. The prices are cheap and you have billions of options to choose from. WP Engine is one of the best hosting providers to start a blog with, because they specialize in WordPress, and are very affordable. For a beginner to blogging, the best plans of theirs to select would be the Startup Plan. Click the link to grab a 20% discount on the plan today, and get your blog off on the right foot. Select your plan, and they’ll set you up with an account. You already have your domain name registered at this point, so you’ll be able to fill out the domain field when signing up. After you’ve registered with WP-Engine, they will give you a dashboard link, and your own name-servers. Your name-servers are how you link your domain name to your website files. So, all you need to do is go back to your GoDaddy account, click on manage your domain, and manage name-servers. 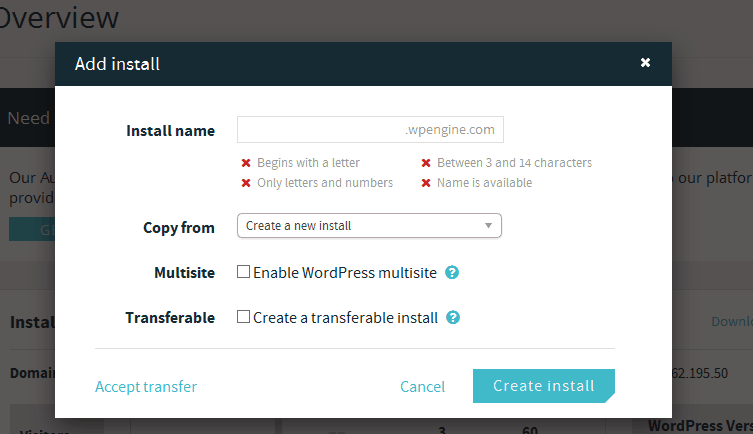 Click on ‘Use Custom’, and enter the name-servers that WP Engine gave you. A blogging platform is what you’re going to use as the hub of your website. You’ll be able to customize the design, write posts and modify pretty much everything with this platform, so a bad choice can seriously limit you in the amount of function your blog has. As far as the selection goes, in my opinion there’s no need to looking any further than WordPress. It does everything you need it to do, offers the maximum amount of customization possible and is still completely free to use. Pretty much every major and well known blog operates using WordPress. Once you’ve set up your WP Engine hosting account, they will provide you with a quick and easy option to installing WordPress on your domain. The first thing people will see when they visit your blog is the design. If it’s not able to hold their concentration for more than 20 seconds, then they won’t ever go much further than the design, because they haven’t been encouraged enough to continue browsing. Although, a theme is a lot more than just ‘look and appeal’. It provides functionality and all the features to the users, so installing one that isn’t compatible with popular plugins or any other WordPress features will limit you in the level of experience you can provide to visitors. Are they someone who is likely to continue updating the theme and producing additional options? Are they someone who might be a one hit and quit type of person, not bringing out updates for the theme? You want to buy from someone who thrives on creating themes and continuously improving them as WordPress evolves. You won’t run into any problems later down the line that way. In my opinion, the best place to currently find great WordPress themes is ThemeForest. That’s where our current theme came from, and there’s an enormous selection to pick from. Definitely check the site out and see for yourself. And that’s it! You’re done! That was the tutorial on how to start a WordPress blog with WP Engine. Now the next steps within this article are for anybody who wants to begin building traffic, growing their followers, and make money from their blog. So you have successfully been able to start a WordPress blog with WP Engine, now what? This next section is just a summary of how to go about building traffic to your blog, and monetizing it. You should definitely be following other great bloggers, in order to get detailed specifics about how to do this. The content is why you’re starting this whole thing in the first place, you want to share your knowledge on what you’re passionate about, right? There’s a lot of speculation and argument when it comes to the way you should structure your blog content in order to make it as appealing and useful as possible, so it can be pretty confusing when taking advice from others on how best to go about it. When you do start writing content, try and keep it closely related for a while, and then expand into similar areas. This way you keep a higher number of readers interested because the topic your covering is covered extensively. If you did the opposite and began by writing 10 posts in 10 different categories, most people wouldn’t come back because their preferred category isn’t being updated regularly enough. Driving traffic to your new blog is the hardest and most crucial part of creating a successful blog. There’s not a lot of point going to extensive lengths of designing your blog around other people, if no one’s going to see it. Once you’ve begun to follow the other steps to a “T”, it creates a great base for driving traffic, however many bloggers who get this right still give up after the first few months because they’re not seeing the traffic they think they should be seeing. Traffic takes a lot of time to build up. A strong reputation isn’t gained in a couple of weeks, so the expectation of quick traffic definitely isn’t the right one to have. Don’t be too disappointed if your blog’s not a hit within the first month. Gaining large audiences of followers on social media is now essential in order to drive traffic and retain visitors over a long period of time. Your social media accounts are like individual streams, and the more water that you continuously add to the source of the stream, the more water that will reach the lake at the end. 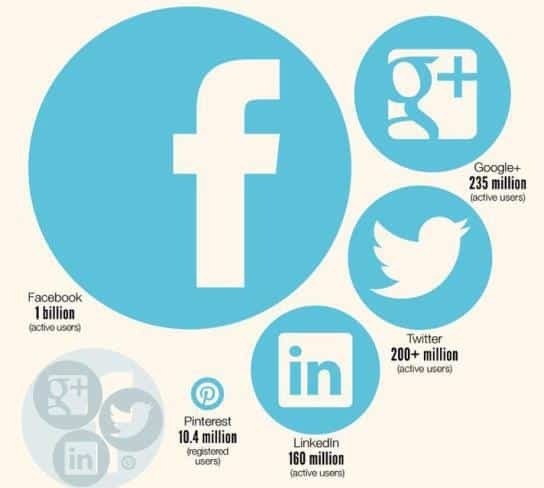 Currently the main 4 to focus on are Facebook, Twitter, Google+ & LinkedIn. Pinterest is still up there with the others, but probably not one to focus on unless images are a big part of what you’re doing. Being heavily active on the main social networks will help you build a reputation and community that opens many doors for you in the future. Don’t forget to interlink them and leverage one audience of the other in order to maximize your following on each network. Aside from social networks, email marketing definitely isn’t to be forgotten, and is still the best way to gain an active and reliable following, that drives traffic to your blog. Email addresses are something that people are far less likely to give up to someone else, and for that reason when someone does sign up to receive emails from you, there’s an incredibly high chance of them seeing it. Social media posts tend to drop off pretty quickly and get missed by people. Either that or they just aren’t interested in engaging, because all they had to do was give you a quick like. A lot of people argue that you shouldn’t start monetizing your blog until slightly later on down the line, when your traffic has picked up. However, there’s no harm in monetizing lightly to begin with using Google Adsense. It’s a great way to break up certain parts of the page, and still get a little bit back from your blog. Just don’t go overboard with the ads, as it will eventually put people off. A blog can be monetized in many different ways, not just PPC. You can also place banners and links on the page from websites you’re affiliated with in order to earn a commission for every sign up or purchase. And aside from banners, most blogs tend to go down the route of writing their own eBooks to sell to their readers, and creating a store that sells merchandise for fans such as T-shirts. When it comes down to it, the number one thing that people trip up on is not repeating steps 6 to 9 enough. They give up after a short while because they’re not getting anywhere. Everything that’s ever been worthwhile building, took time to do so. So keep repeating what you’re doing and don’t give up, the universe will work itself out. Are you trying to start a WordPress blog with WP Engine? What did you think of this free tutorial? Leave a comment below.